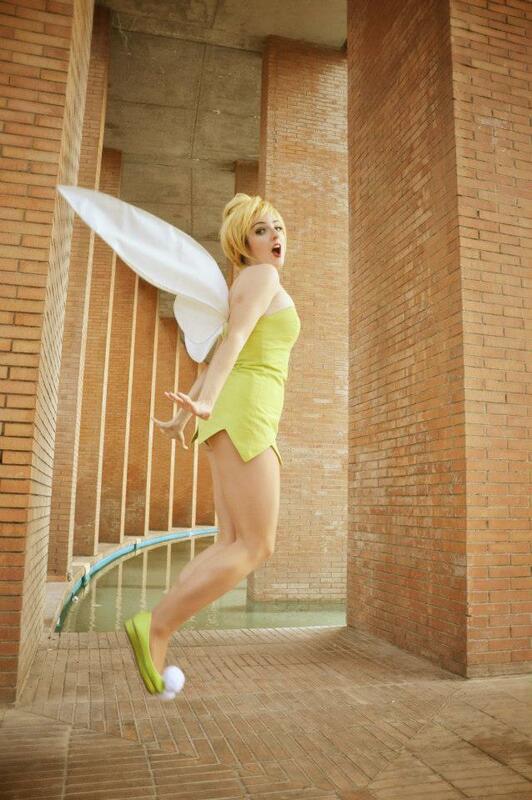 In every way imaginable, Aline cosplay did a amazing Tinkerbell. 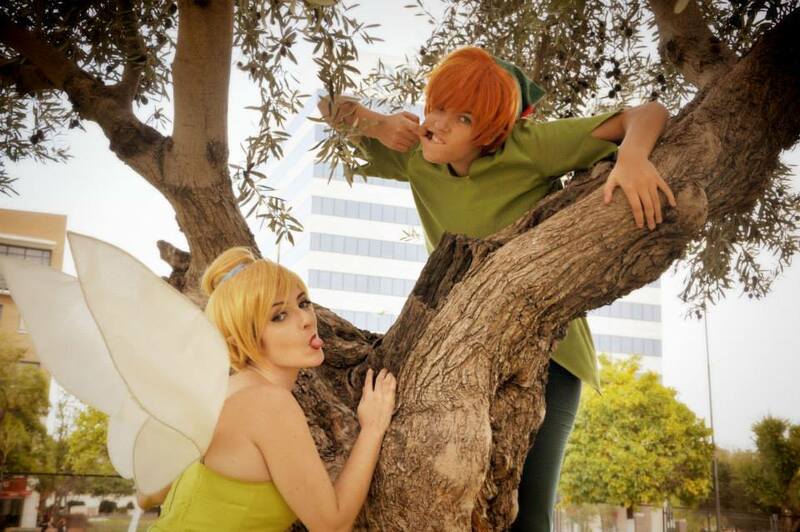 Her pictures display the perfect attitude of Tinkerbell, making this Spanish cosplayer one to watch! Andy: What was the first convention you Attended? What was the most memorable part of that convention? Aline Cosplay: The first convention I went was The Salón manga de Jerez in Andalucía. Most memorable was the great weekend I spent with my friends, the games and the costumes. Andy: What first got you into making cosplay? Who is a cosplayer who you admire? Aline: Since childhood I always liked dressing up. When I was older, I started doing cosplay for conventions with my friends, they were crappy but we had fun. Then they stopped, but I continued. A cosplayer who I am admire is Callesto, http://callesto.deviantart.com/, she is American and makes some great stuff, and she also has a similar taste to mine in selecting cosplay. Jessica Nigri, truth, is also one of my favorites, though she is sometimes criticized. My number one favorite is Tracy Hines http://thereallittlemermaid.deviantart.com/ whatever she does it is perfect . Andy: What is the costume you saw that inspired you to start making costumes? Aline: Actually, I’m not sure, because I always loved dressing up. 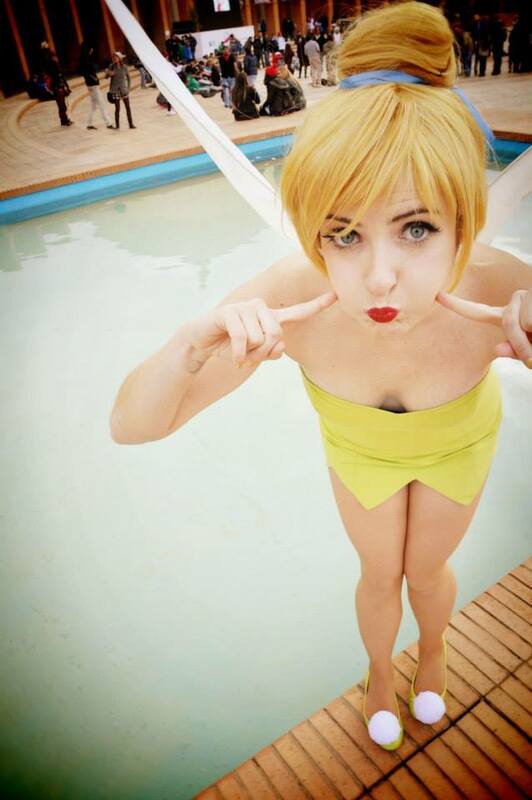 It was not something of a unique moment, but I think the version of Asuka’s yellow dress made by ​​Kipi was important, I loved that cosplay when I was younger. Andy: My favorite costume of yours has to be Tinkerbell, what is it about Tinkerbell that spurred you to create a cosplay of her? Aline: The story of Peter Pan was always my favorite. The Disney version, while I do love it, is not the one I like. The aesthetic of the film is wonderful and the lost boys have a style as “Where the Wild Things Are”, they are my favorite part of the film. But not the girls, Wendy seems very bland. The truth is that I really enjoy the scenes with Tinkerbell. Her anger, her tantrums and her stumbles. She is a very charismatic character even though she does not say one word, really says it all about her character. In the new Tinkerbell Disney series, her personality is completely different so it loses some of its charm. Andy: You are an obvious lover of Disney films. What has-been your favorite Disney Princess, and why? What do you think of the stronger characters like Merida from Brave? Aline: It would be extremely difficult to choose one. I always loved Ariel, but with the emergence of Rapunzel, Merida and now Anna (Frozen) the decision is quite difficult. I must confess that I will always love the forgotten Disney princess, Kida of Atlantis. Her white hair and dark skin is so exotic … I have not indicated a profile to make a cosplay of her, yet. Merida is really one of my favorite princesses, Anna has a distinct personality too, she is so brave and a little crazy, which I love. 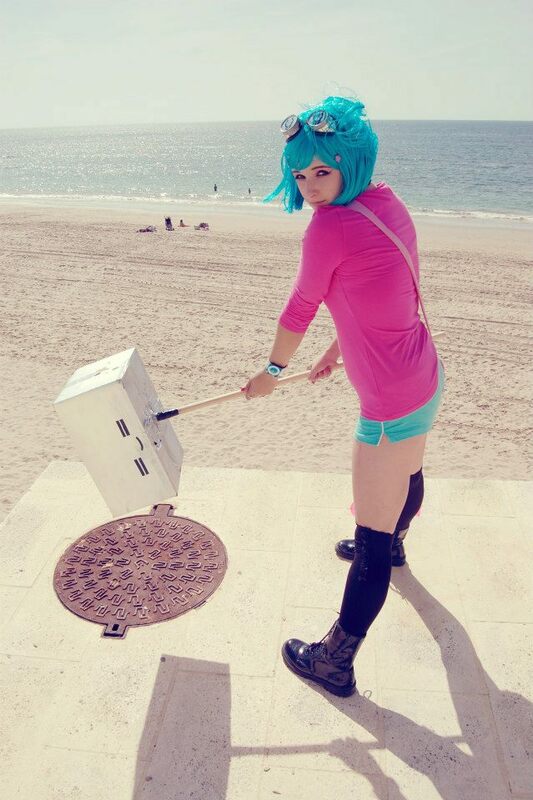 Andy: Speaking of strong characters, you cosplayed Ramona Flowers from Scott Pilgrim a while back. If you had to fight her exes which one do you think you could beat? What part of Ramona do you identify with? Aline: I really think I could beat everyone, except Scott. He is so cute. Everyone has weaknesses and he would be my weak point. Ramona is the perfect girl, who would want to not be her. I even cut my hair like her one time. I identify with her because we both like to skate, and we’re both a little crazy. Andy: Another cosplay you made is Elizabeth from Bioshock infinite. What did you like about the Bioshock games? What is your favorite part about Elizabeth? Aline: I love the aesthetics of Bioshock. Those abandoned buildings, that decline, messages, and mysteries in the corners. It is a fascinating game and very elaborate. My favorite part of Elizabeth, I guess, is her dreamy personality that shows up in the infinite (in the burial she is different). Also her will to fight and survive. She is a complex character, and without her the game would not be complete. It doesn’t hurt that she is beautiful too. Andy: Top 3 games you played when you were younger? Aline: Spyro, House of the Dead, and Tekken. Andy: What at conventions will you be in 2014? Aline: Given that I live in Spain, my list is somewhat reduced. The closest thing I have is the Salon Manga de Jerez 2014, just trying go to Mangafest and hopefully they rehabilitate the Comic-Con Spain.